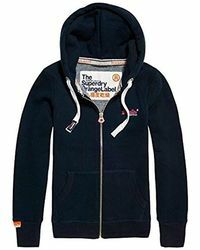 Intricate detailing, high-quality fabrics and the very best tailoring have come to represent the Superdry brand. 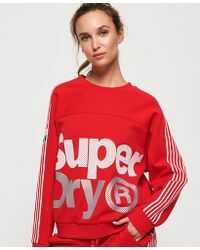 This British label has established an aesthetic that expertly combines Japanese graphics and retro Americana to produce stylish but cutting edge looks in everything from shorts to knitwear. 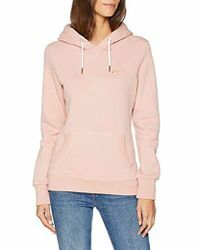 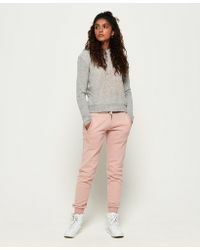 The brand includes a line of sweats, which have a distinctly streetwear vibe, from the colourful slim cotton jogging bottoms to the off-the-shoulder fleece sweatshirts. 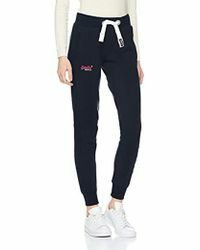 There are super sporty styles, such as classic hockey sweat trousers, as well as vintage designs and simple logo trousers 'this is a great range whether you're heading out or chilling in.